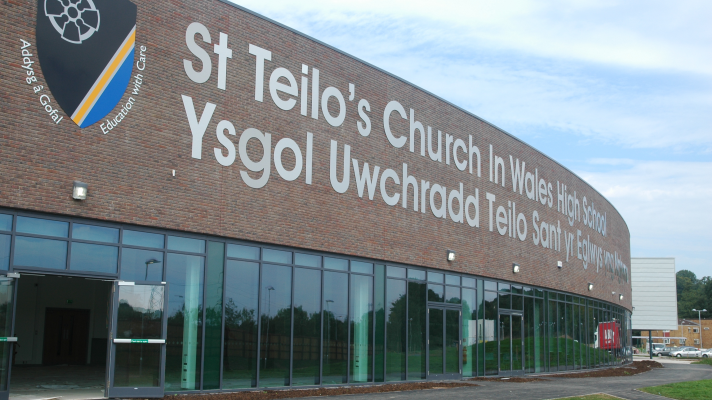 St Teilo’s Church in Wales High School has moved to its new home in Llanedeyrn. After years of planning and preparation, the pupils and staff have moved into a state of the art building less than half a mile down the road from the original school, built in the mid 1960s. That building had become too small for the popular church school, with almost 1,200 pupils occupying a site originally designed for half that number. The new school has been under construction for the last year and is the product of the strong partnership between the Diocese of Llandaff and Cardiff Council. This has meant investment in a new school for St Teilo’s and the adaptation of the old building to become Ysgol Bro Edern, the city’s third Welsh medium secondary school. The new St Teilo’s building is a contemporary design, with classrooms clustered in blocks off a main central ‘street’. This means that staff will be well resourced in every subject area and the pupils will have access to the best possible environment for learning. Diocesan Director of Education, Edwin Counsell, paid tribute to the hard work of all concerned with the move. 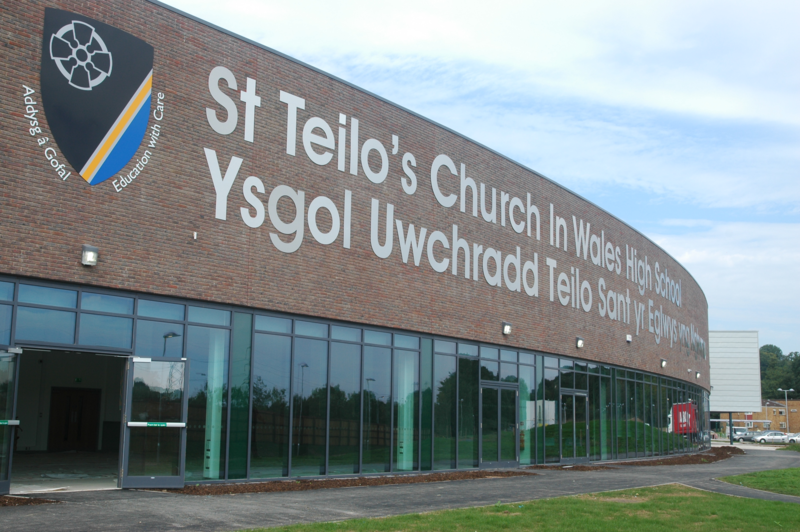 “The move of St Teilo’s has been a long time coming and could not have happened without the commitment and hard work of the headteacher, staff and governors. The opening of this building marks the beginning of a new phase in the life of the school,” said Rev Counsell. The move has been a logistical challenge for the school, with learning resources, files and equipment packed up in a few days at the end of last term, and then unpacked in double quick time to welcome the children in the second week of September. 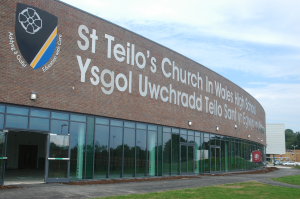 Headteacher, Mrs Beverley Walker has faced the challenge of leading St Teilo’s through this major move, but she is enthusiastic about the opportunities the new building brings. The pupils are bubbling with enthusiasm for their new school, although many will look back fondly on the old building. There will be an official opening and blessing of the new building, once everyone has settled in. In the meantime, everyone is concerned to find their way around the building…and getting to their lessons on time! This was posted on 8 October 2013.